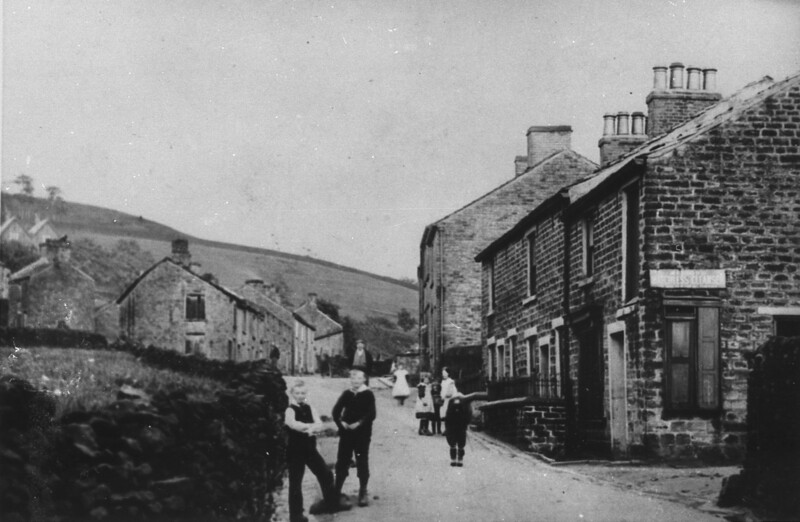 Today there are no shops in Old Glossop, yet once this was a bustling village with all the conveniences. Some of them are listed below. The old Bailiffs House served as a butchers during the first half of the 20th century. 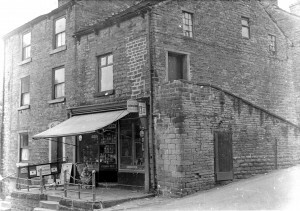 After it became a private residence the shop window (bottom right first floor) was replaced with a mullioned window, more in-keeping with the building’s era. 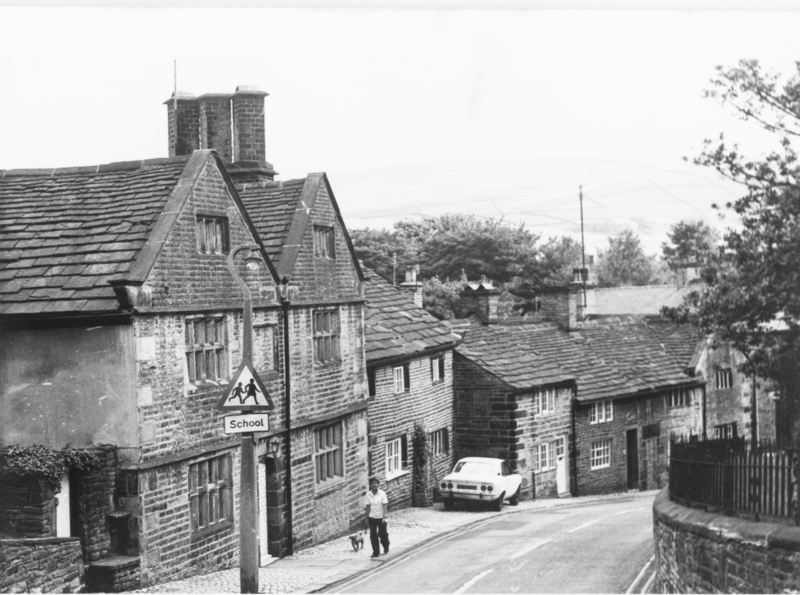 On Dunne Lane (between the Bulls Head and Wheatsheaf) you can find evidence of another butchers shop. 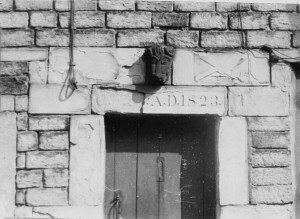 Either side of the lamb’s head are typical butchers’ tools. 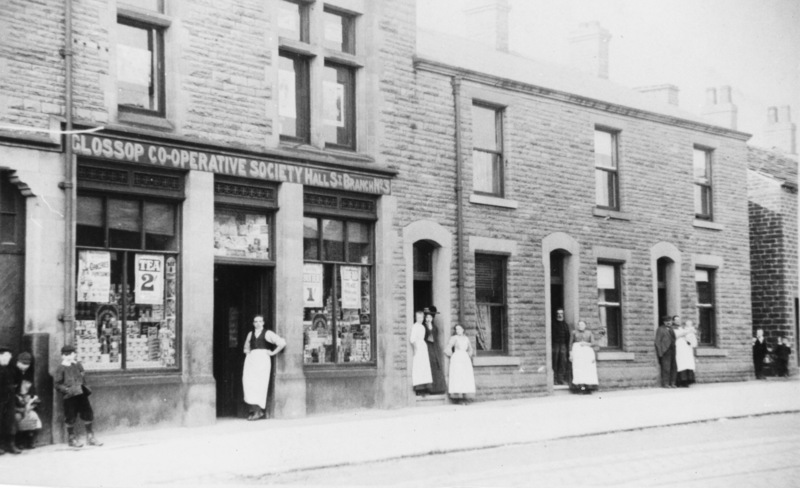 The co-operative was on Church Street South. 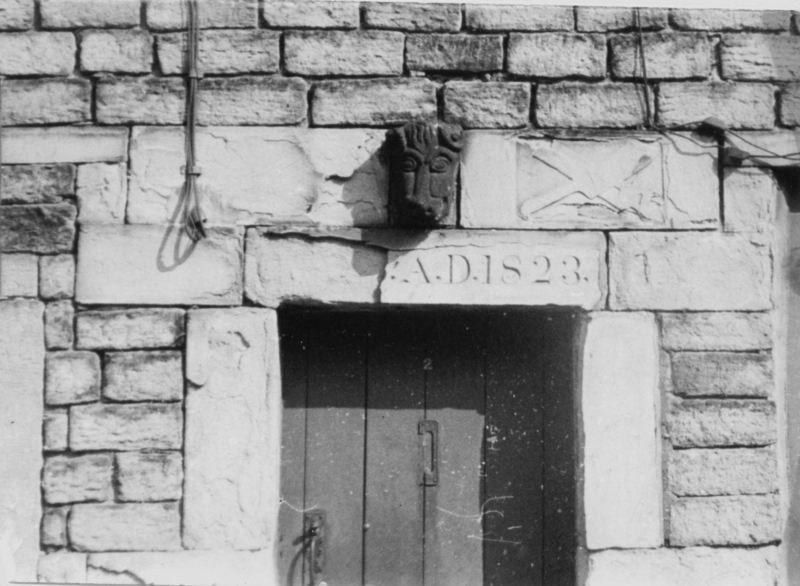 Look for the beehive plaque, with a 1906 date stone, on the first floor of the building. 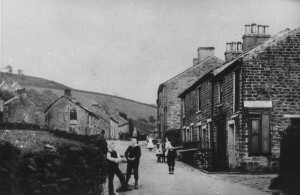 The laundry (building on the right) was on Hope Street, Roughtown. This little shop was in Thorpe Street, also known as Top o’ town.